This Girl Kit from Mom & World has soothing baby products is include Baby Wash, Baby Sunscreen Lotion and Baby Nourishing Lotion. All these products are specially formulated to suit your baby’s delicate skin and are gentle enough for the sensitive skin of your little one. Mom & World Baby products are made of natural ingredients that are recommended by dermatologists. Also, its delicately fragranced and pH-neutral product, and are designed to protect and keep your baby’s skin clean and silky smooth at all times. There are tons of products but if you want the best then Mom & World Brand is just perfect for your little one. This tear-free formula is soothing and makes the bath time calming and relaxing for your baby. The sunscreen lotion with SPF 50 provides excellent protection from harmful sun rays. The Baby Nourishing Lotion keeps your little one’s skin moisturized and is gentle for daily use. The high-quality ingredients and innovative formulations ensure that the products of Mom & World are safe for the sensitive skin of your baby. Enriched with Cold Pressed Sweet Almond Oil, Aloe Vera Extract, Oat extract, Moroccan Argan Cold Pressed oil, and Chamomilla Flower extract, Mom & World Baby Wash is perfect for baby’s sensitive skin. The product is ultra-mild and is suitable for everyday use. Baby’s skin loses moisture quickly and the fast absorbing formula of Mom & World lotion helps preserve the natural softness of your baby’s skin. It hydrates and nourishes the skin up to 24 hours. The products are free from usual culprits like parabens, phthalates, sulfates and allergens. The kit is water resistant, compact and perfect for traveling. Baby Wash – Wet baby’s body and hair with warm water. Apply the body wash with a washcloth or your hand, gently lather and rinse. Sunscreen Lotion – Apply the lotion on all parts of the body that are exposed to sunlight at least 15 minutes before going out in the sun. Nourishing Lotion – Apply the lotion on entire body for healthy and baby soft skin. 1. HOW SAFE ARE MOM & WORLD BABY PRODUCTS? Our products are safe when used as per the directions. Safety is our top priority. The products go through stringent safety-testing standards. We make sure that government regulatory standards are confirmed through a rigorous assessment process. 2. WHAT IS THE DIFFERENCE BETWEEN BABY LOTION AND BABY OIL? Baby Oil is used for a massage while the lotion helps moisturize the baby’s skin. Mom & World Baby Wash - Aloe Vera Extract, D Panthenol (Pro-Vitamin B5), Sweet Almond Cold Pressed Oil, Organic Moroccan Argan Cold Pressed Oil, Matricaria Chamomilla Flower Extract, Oats Extract. 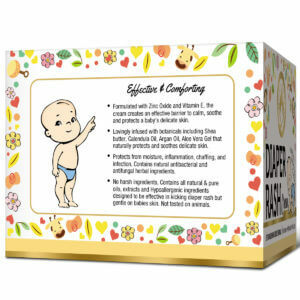 Baby Nourishing Lotion - Glycerine, Organic Shea Butter (Butyrospermum Parkii), Caprylic Capric Triglyceride (Skin-Conditioning Agent), Organic Olivem 1000 (Derived from Olive Oil), Sweet Almond (Prunus dulcis) Cold Pressed Oil, Olive (Olea europaea) Leaf Extract, Beeswax (Cera alba), Kokum (Garcinia indica) Butter, Wheatgerm (Triticum vulgare) Cold Pressed Oil, Apricot (Prunus armeniaca) Cold Pressed Oil, Avocado (Persea gratissima) Cold Pressed Oil, Evening Primrose (Oenothera biennis) Essential Oil, Tocopheryl Acetate (Vitamin E), Grapeseed (Vitis vinifera) Cold Pressed Oil, Colloidal Oat Powder, Organic Aloe Vera (Aloe barbadensis) Gel, Calendula (Calendula officinalis) Essential Oil. Mom & World Baby Wash - Pump baby wash onto a wet wash cloth or hand and apply to damp skin. Work up a gentle lather and then wash skin evenly. Rinse with warm water. Baby Sunscreen Lotion - Be sure to apply all areas that will be exposed to sunlight, including behind the ears, neck, hands, feet, and scalp 15 minutes before sun exposure. Reapply after 80 minutes of swimming or sweating, immediately after towel drying, at least every 2 hours. Baby Nourishing Lotion - Apply a generous amount of lotion and massage gently. Use regularly to seal in moisture.